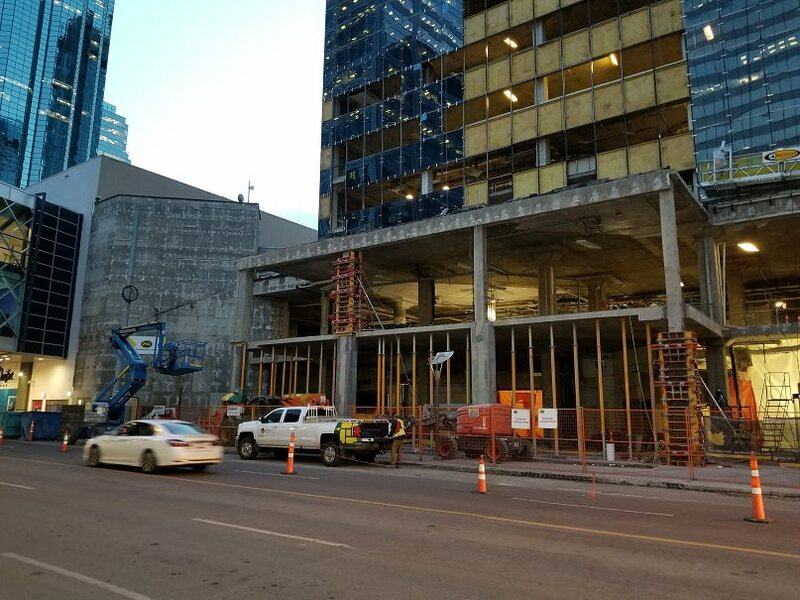 Alberta Investment Management Corporation ("AIMCo") announced today its plans for the complete redevelopment of HSBC Bank Place to become Edmonton's newest "AA" class office building. 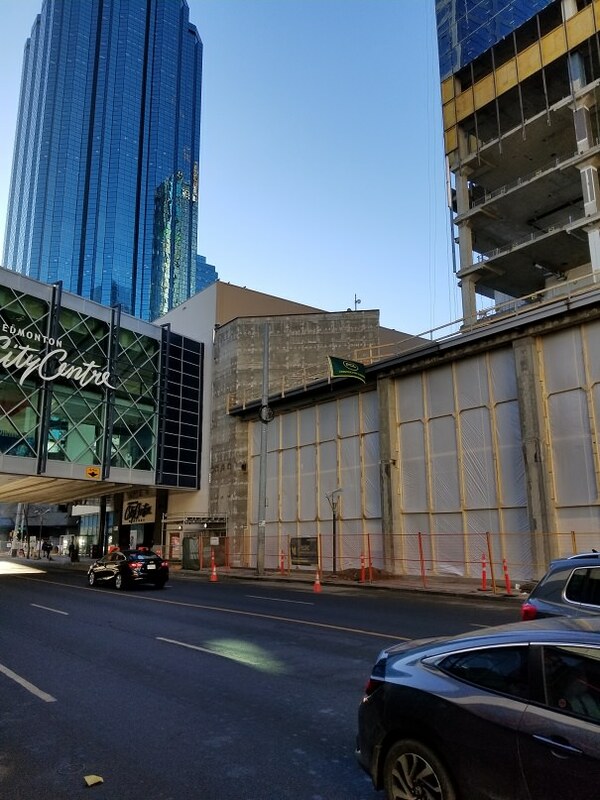 Acquired on behalf of its clients in February 2017, HSBC Bank Place is located in the center of Edmonton's downtown business core, adjacent to the vibrant Ice District, and within close proximity to the city's most sought out lifestyle and business destinations. HSBC Bank Place, a 317,000 sq. 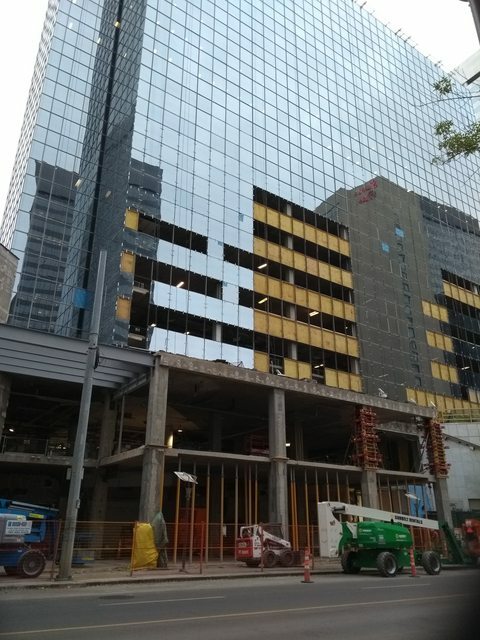 ft. office tower in Edmonton's financial district, is undergoing a complete exterior and interior redevelopment. Once concluded, the new building will boast a triple glazed curtain wall system, floor to ceiling view glass in the office area, new mechanical and electrical systems, and a revitalized 2-storey lobby, transforming the building into a distinctive and best in class "AA" office building and bringing new life to the corner of 103rd Avenue and 101st Street. 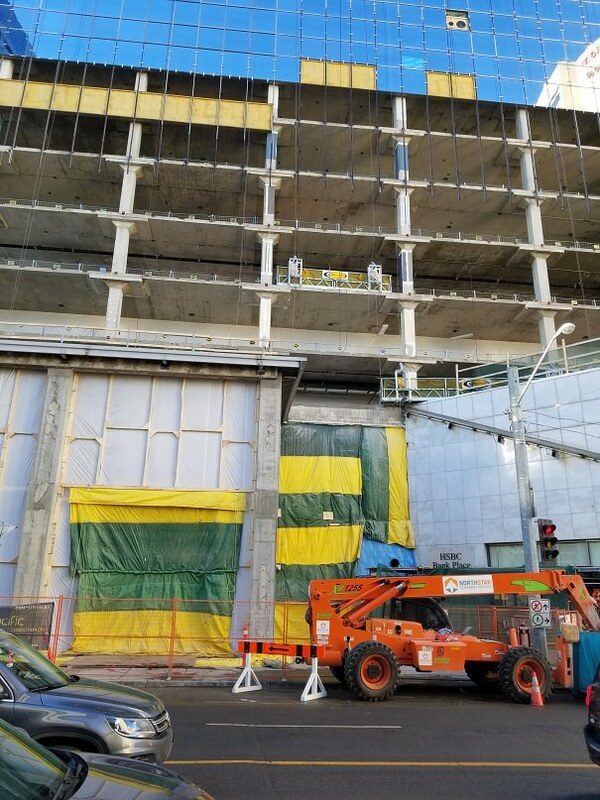 The redevelopment is targeting LEED Gold Certification, WELL Gold Certification, and to become the first office building in Western Canada to be Wired Certified. Not exactly diversifying outside of Alberta so I hope AIMCo can profit off the expenditure. Simple, but clean and modern design. A statement devoid of facts. One office tower does not make a portfolio when you manage 100 billion dollars. The lobby LED screens look great. Design looks top notch. Definitely a fan of what they did with the parkade. That was a real carbuncle on the area. Edmonton is a very exciting place to be right now. Lipstick on a pig for the parkade. I was hoping they would activate the street with CRUs. too bad about removing the street front retail. ^ What makes you think they're doing that? It does look rather clinical now, doesn’t it? I agree, I just meant the absense of retail makes it seem sort of sterile. But now I see that there might actual be retail bays still. I would not let this development pass unless they activated the street where the parking garage is, there is no excuse for not doing so. Look at all the room available within that garage, there is no reason why they could not spend a little extra money to create a CRU in that spot. 100% disagree with you on this. There is enough space to build a building within. If anything, we need more focus on retail spaces that make sense, this does not. We are going to start loosing our character for blue glass. Maybe it is just not evident from the picture, but those people sitting at the tables under the umbrella's (on the north side of the building I think - that could be chilly for most of the year) seem to be a long ways from any restaurant, bar or coffee shop so I wonder how realistic it is. However, maybe this is the trend now in development pictures - plop in a few tables of people, I think for years it was big trees. The building itself does look nice in the picture, but I agree it would be better with some outward facing retail. I love the walk along 103 avenue now. What a mess for pedestrians. My guess is that this is actually clear glazing with a light grey spandrel. Really nice! Too bad we can't just replace the adjacent parking tower yet though. Last edited by Aaron_Lloyd; 29-07-2018 at 01:43 PM. Uh the building is already blue glass? I would like to see that transformed as well, but we are not there yet; we are not there for the amount of retail everyone is suggesting either. Organically, we are 15 to 20 years from the amount of retail bays suggested. What is most important at this stage for downtown is to have a clean and fluid connectivity, and that should be focused for the next 10 years. It is poignant to build with retail in mind for the future, but having retail here at this stage is not dire imo. Thus reno will definitely meet that" clean and fluid" agenda. But did it start out that way? I think the HSBC will look great. Definitely not. The back to back recession starting in the early 80s started that parade... It doesnt matter how it started; it is more important to recognize that downtown was completely undeveloped and neglected for 3 decades. We have to be reasonable with expectations and how growth occurs. Logic would answer all the questions or doubts; would people who are into retail rentals not be able to recognize a simple pot of gold if warranted? What they're doing is a right course of action; From that render, this will be great; from renders to reality, it will most likely be greater, and it will do that street wonders. We have fallen and recovered from a major injury, so it will take some time before we see great turns. Sorry ctzn I was referring to the glass, but your points are well made! 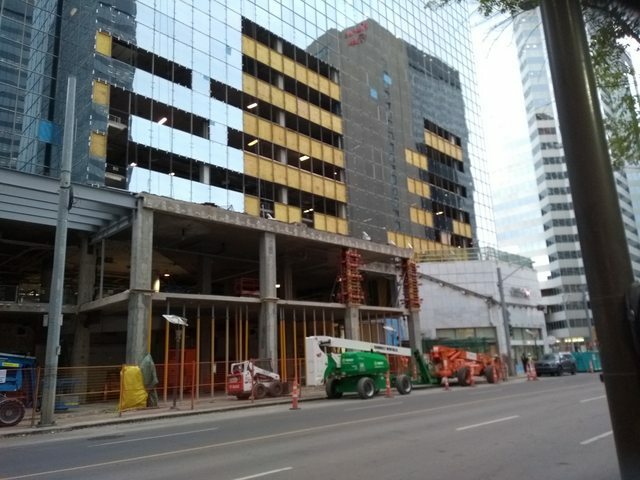 I'm not sure if they would work here or not, but Edmonton designers and architects need to be more creative with getting more life on the street and retrofitting some of the massive parking structures in the city with ground level CRUs is something that should be pursued. ^^Certainly they 'can', but should they? In this case I am sure they could from a functional perspective and just like any other city, we have strips that are less active than others. Let's focus on ensuring 103st, 104st, 101st are fantastic streets to discover. Let's focus on ensuring that all downtown streets are fantastic streets to discover. Don't misconstrue the above for we do need to focus on ALL Downtown streets/avenues to ensure that they are active, interesting, beautiful, safe, but the reality is that just like every other city, we must prioritize and focus efforts. The new northward orientated 'cafe' and patio along with the landscaping and parkade updates should make that block more presentable and functional. I would love to see some artistic/complimentary lighting to invite people to 101st. Last edited by IanO; 30-07-2018 at 09:26 AM. A one-off? I hope not. The core needs to look cohesive not pander to different streetscapes, street lights, signage because some idea pops into someones head. As is the City can't seem to even finish Jasper Avenue. Interesting that you leave 102 street out of your list. Got to ensure that DynaLife stays downtown and keeps 102 street as a bleak, featureless wasteland. "Hey, let's go to 101 street. I hear they have artistic lighting there." "What else? I feel like a nosh"
"No, just the lighting. That's what people really want. Why do you hate downtown?" I understand allocations. Nonetheless, these committed dollars will not be free from the risks native to Alberta. It was an observation. Devoid of facts? Mostly yes. Also, in the past I have seen their Alberta based investments as wise moves. Nonetheless, there can be uncertainty involved in ‘re-investing’ in Alberta (assuming this is a re-investment). Last edited by KC; 30-07-2018 at 10:41 AM. 102 will be reborn... just might take a little while longer. 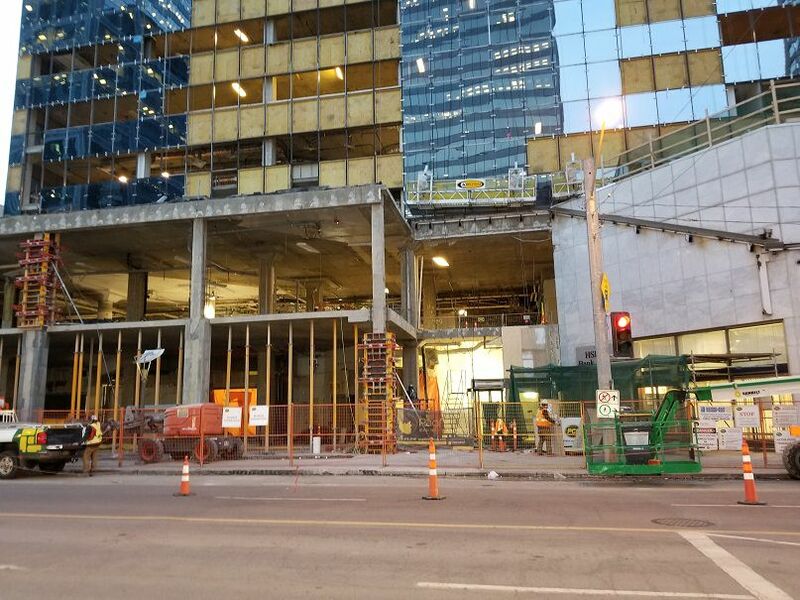 Not as long ans the Manulife 2 podium and Commerce Place turn their backs on it. 102 North of ECC is pretty much dead as well as the Arena District basically turns its back on the rest of downtown to look inwards to the plaza. 102 street, minimal connection, 103 street now private, 103 ave minimal connection, 104 ave minimal connection. But the height is sure something, isn't it? Exactly, every parking garage should have something that activates the street. As for the HSBC parkade, due to its location a restaurant or cafe with patio might not be the best use for that spot. It is a great spot for a nightclub, dry cleaners, registry, print shop, tailors, accounting office, clinic etc. I stated long ago that too many empty commercial space will do harm. ID retail is on the way as well. No more harm than what is already there now. Besides, if CRUs are vacant then the landlord is probably asking for too much. Don't forget that the ice district is right beside, the potential for success is better than before. I disagree. Walking by a well connected and dressed street Is better than walking by a vacant store front which i have seen plenty of in the 90s. How quickly do you forget. Too many empty store fronts signal poor economy which is not a good presentation for potential business development. The only retail CRUs I want to be there are just the ones that were there before lol. The Starbucks, the Mucho Burrito, etc. because it's so hard to find a starbucks or a mucho burrito etc.? I like what they will do with the parkade. I hope they also add sensors to keep track of where there are empty parking spots. As for the main building it looks nice and I hope they can maintain some CRU's at street level. A restaurant of some sort to service those tables in the render would be nice. i dont know of one parkade that has kept those sensors after a few years..
as far as i know consent is pretty much provided when you start the car and as far as i know it's virtually impossible to opt out of. the conditions of use etc. are buried even further than those in a windows upgrade installation consent agreement and we all know how often we read those. while the parkade owners may need to provide "repeater" cellular or satellite access at each parkade level, even that's not necessarily needed if the data is simply stored and streamed when the car reconnects on exit (which simply means the data many not be quite as instantaneously/completely accurate although even having one of the security staff do their 1/2 sweeps in a smart car rather than walking would probably provide frequent enough updates). These systems are amazing and well used across the globe. I am amazed that we are 'just now' getting these for I recall being in Geneva in 95' and almost all of the main Downtown parkades were using these. How is this difficult? Count the vehicles coming in when they take a ticket, count vehicles going out when the arm swings up to let them out. LA parking garages do this. Why is there a need to map empty stalls? Mapping the empty stalls does lessen the number of people crawling thru a parkade at a snail’s pace, worried they’ll miss an empty stall - so it moves vehicles thru much more efficiently at busy times once they catch on to drive at a reasonable speed watching for a green light. And if you’ve ever had to follow one of those timid snails, you know what I mean ! Johnny BMW is gonna be in for a surprise his car is telling him where to go in a parkade, only to roll up and see my 17 year old, 19 foot long, pickup truck in his spot! LED signal for stall occupancy would be great! But I don't see in that the need for a map and the expense of all the interconnects required vs its low practical utility. This (RED/GREEN light) is the style of empty stall "mapping" that I'm thinking of - many parkades in Calgary have it and it saves a lot of time & frustration. My experience with this system is it encourages speeding. You see a green light at the other end and you race for it. Well, it's an old story... you can't legislate common sense BUT, with most parkades there is generally a pretty "one way" flow of incoming traffic looking for empty stalls so there isn't much need to speed toward a green light if you are the first in the convoy. I think the red-green calms things down because you're not worried about missing that elusive space. Quite a bit of demo work done on the east facade this week. Took a hike inside. Half the interior is hoarded off, with the other half containing the dental clinic (closed) and the jewelry store (still open). HSBC is still open but have no idea how much longer. The closed sidewalk is a pain in the arse. This shouldn't be allowed at all. And half the lanes closed when they’re working too. Annoying to drive through. AIMCO itself probably wouldn't need more than a floor of space in any building. They are not a very large org. Before renovations, LAPP was in this building, and AIMCO is the investor for pension fund money. From what I know, LAPP will move back in after renos are complete. Last edited by Medwards; 29-11-2018 at 09:50 AM. Walking by a few times recently I wondered if this was one of the office to residential conversions Downtown. Guess not. Thanks for the info about building ownership and future plans. The City used to be the main tenant in this building before staff were relocated to the City of Edmonton tower. Always used to have go there to obtain City permits. Eight floors, leasing it from itself I guess. Actually, they are a decent sized organization. I believe 300+. When AIMCo was created on January 1, 2008, it had a staff of 137. By December 31, 2016 the number of employees has grown to 425, across the organization's Investment Management and Risk teams, Investment Operations, and Corporate Services. It also has offices in Toronto, London U.K. (wonder how Brexit might affect that) and Luxembourg. ^^Why rent in other people's buildings when you can be in your own. the investment itself (actual ownership of the building) is probably on behalf of a number of the pension funds for which aimco invests monies. the tenancy is for aimco's own space requirements for which aimco would pay a market rent to the beneficial owners. although there is a "relationship" between both groups, the lease transaction would provide market returns to the first by extracting market rents from aimco but also ensuring at the same time that aimco isn't paying more than market rents. there are probably a number of safety checks and operating procedures to ensure the relationship operates at arms' length that likely include third party appraisals and verification of rents and market conditions etc. So this reno work will end December 2019? I'm not sure of the timelines, but based on my (non-professional) opinion I would say that sounds about right. 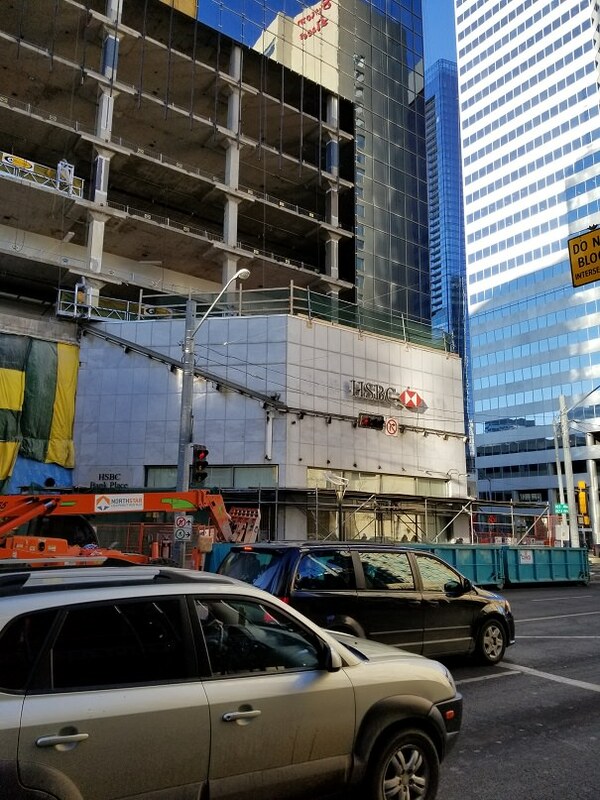 Random question - is this still going to be named HSBC Place after the renos are done, or are they going to be re-branding after the refresh is complete? Is that the new glazing going on that I spy along the bottom of the photo? ^^at the moment... but TBD. I am really looking forward to that new podium. This area is so dismal. 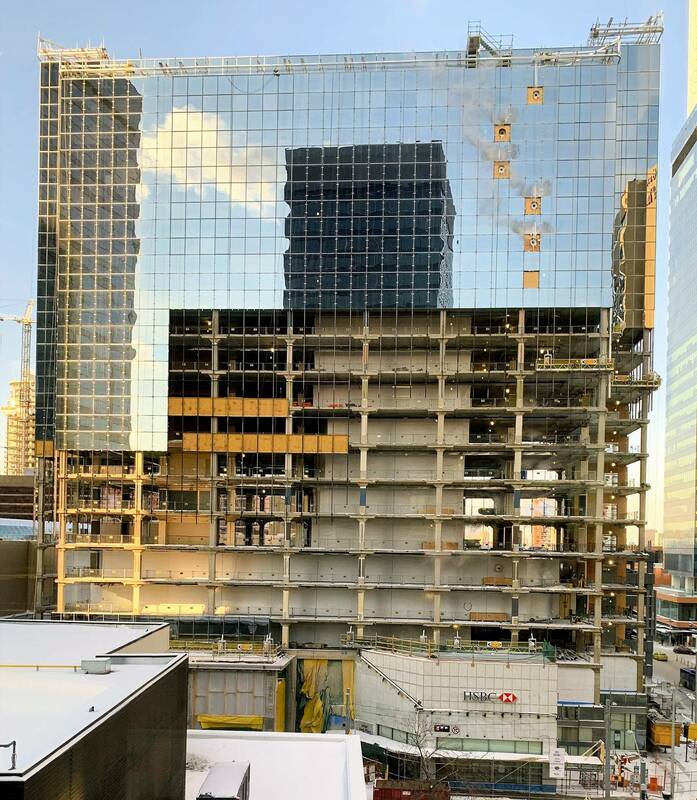 There is a complete row of glazing on the east side. Looks good! It does. 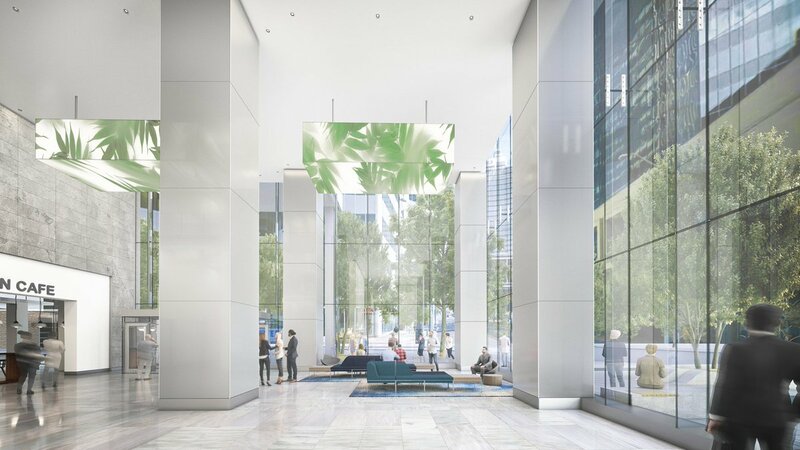 The open lobby will be a welcomed addition to that stretch, especially at night as the light pours onto the sidewalks. 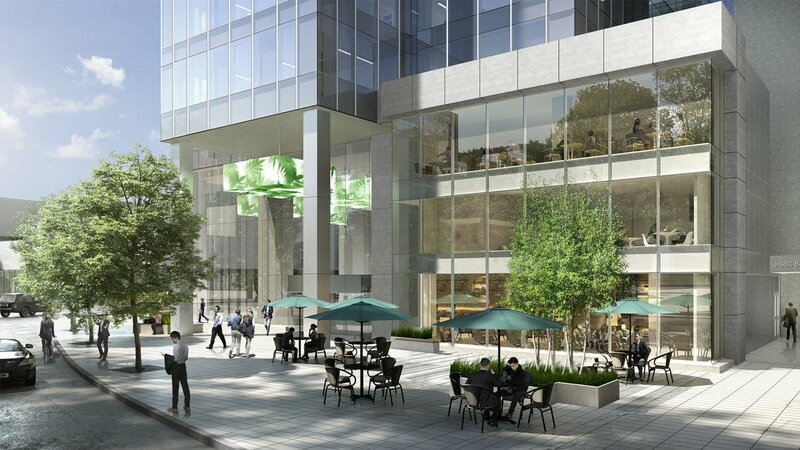 Am I the only one excited that the parkade is going to look a million times better?